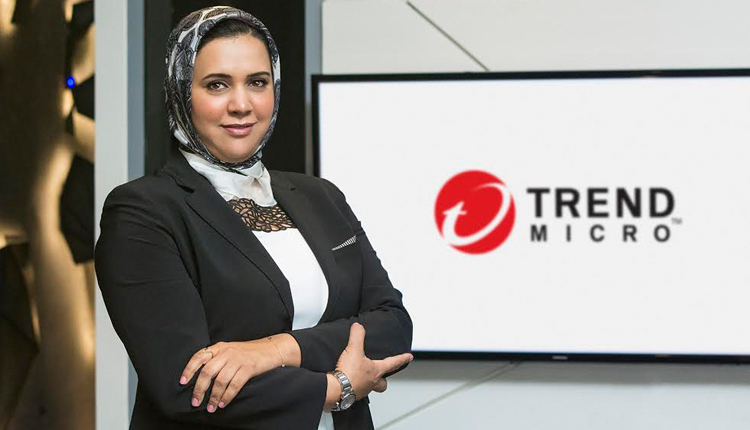 Trend Micro Incorporated , a global leader in cybersecurity solutions, offers small and medium Egyptian business, an enterprise level threat cloud-based protection solution that is absolutely maintenance-free. Worry Free Services Advanced, powered by Trend Micro XGen ™ security, infuses high fidelity machine learning to provide comprehensive cover against ransomware and advanced threats. Currently, employees in Egyptian SMBs utilise a number of endpoint devices, ranging from a laptop to smartphones and tablets. Each of these endpoints (devices) is a potential entry point for malware and ransomware can enter the SMB’s network. Security is further put at risk with employees connecting their own personal machined and devices onto the company’s network. “Across the country, The Bring Your Own Device (BYOD) trend of employees using personal mobile devices and laptops for work is putting added security risks on the SMBs network,” commented Noura Hassan, Managing Director, Trend Micro North Africa and Levant. “Our Worry-Free Services Advanced, is hosted in the cloud and maintained by Trend Micro, which mean that the customer will never have to apply a patch, hotfix, or worry about upgrade ever again. Trend Micro will ensure that the SMB is always protected with the most-up-to-date protection, allowing the SMB to focus on their business,” added Hassan. Over the past few years, Trend Micro has seen a significant growth in the number of SMBs reporting security breaches, especially through their email and use of web not just in Egypt, but across North Africa and Levant region. Malware, phishing and related types of attacks are more frequent. Trend Micro’s Worry-Free Services Advanced allows for SMBs to enforce security policy for employees anywhere, whether in the office or at home. Trend Micro’s affordable pricing and annual subscription billing is designed to makes security truly worry-free, for SMBs. This cloud-based, enterprise grade security is designed specifically for small businesses, with centralized control for Windows, Mac, and mobile devices. The management console allows for managing of multiple device platforms with one online console, so one can access it anywhere. Targeted attacks, like ransomware, are blocked at the email gateway which prevents them from ever reaching your users. This means they won’t have the chance to click on a malicious link or open a spear phishing email. In just a short 30-day snapshot, Hosted Email Security blocked more than 1.4 million emails that contained ransomware. Trend Micro Incorporated, a global leader in cybersecurity solutions, helps to make the world safe for exchanging digital information. Our innovative solutions for consumers, businesses, and governments provide layered security for data centers, cloud workloads, networks, and endpoints. All our products work together to seamlessly share threat intelligence and provide a connected threat defense with centralized visibility and investigation, enabling better, faster protection. With more than 6,000 employees in 50 countries and the world’s most advanced global threat research and intelligence, Trend Micro enables organizations to secure their connected world.